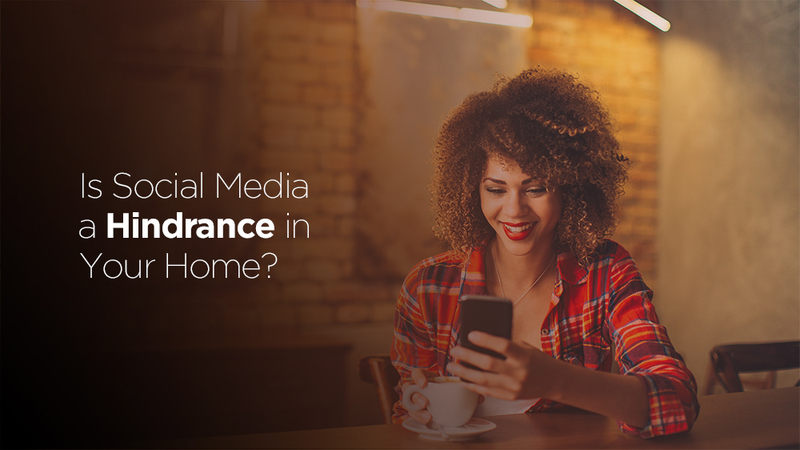 Is Social Media A Hindrance in Your Home? Most of us have some form of Social Media that we check several times a day. It may be Instagram, Twitter, Facebook, Snapchat or even Myspace (if this still exists?). We upload our thoughts, cute filtered and unfiltered photos and share with our closest 2000 (or more) “friends” or followers the things happening in our lives at that moment. Several years ago, I found myself ‘slipping into’ the social media trap. Every evening, I charged my cell phone on the nightstand in our bedroom, so my phone was always within arm’s reach. Everyday as I woke up, I reached for my phone and checked Facebook to see what I missed overnight. A quick browse turned into several minutes and before I knew it, I was completely sidetracked and distracted! Sadly, this distraction caused a delay with my quiet time with the Lord. I was always quick to remind my husband or sons to spend time in prayer or in God’s Word on a weekend morning, before playing video games or watching TV, but I needed to check myself. I knew I should be putting the Lord first, but it took a message from the pulpit to convict me of my actions. It was then when I was determined not to let it happen any longer. Social Media is entertaining, informative, eye-opening and can be a fascinating addition to our lives. I personally enjoy Social Media, because as a stay-at-home mom, it provides connection and communication with the outside world. When my boys were younger, telephone conversations were very limited, because it never failed, as soon as I got on the phone, it sounded like the Ringling Brothers Circus in my house. Can I get an Amen from anyone? What accurately describes a hindrance? It is essentially ANYTHING that … interferes, interrupts, burdens, or deters progress. Does Social Media have this impact in your home? I would like to share 3 approaches that have helped me guard my home against hindrances. Practice discipline: I had to learn to practice discipline. I made a decision to not be distracted by my cell phone on my night stand. Any time I felt distracted, I reminded myself of Matthew 6:33 “But Seek ye first the kingdom of God and His righteousness…” This verse reminds me that I need to seek the Lord first before anything else. Protect your time: Set a limit on how much time you will spend on Social Media. This has to be an intentional action, because it can easily consume time that you could dedicate to other important tasks in your home. As believers and moms, we need to build a home with the least amount of hindrances, including Social Media. I have 2 challenges for you this week. Yes, 2! The first challenge is to write down and keep track of how much time you spend on Social Media each day. Secondly, ask 2-3 other people – your spouse, trusted friend and someone else, if Social Media is a hindrance in your home. Feel free to come back soon and add a comment and tell our readers about your findings. As I prepared this blog article, I am currently in a study with the women of my church entitled The Home Builders – Embracing the Art of the Home. It has helped me develop and cultivate my home with wisdom, prayer, forgiveness, gratitude and much more. Very relevant and helpful topic. Great article. Thanks. So good. Thanks for this great reminder. Excellent reminder! I really like the two challenges! I will give it a shot. Thanks Maggie and let me know!